We’ve got a couple of books here that you should check out, and two artists you really need to acquaint yourself with right now. And a contest to win some custom art. Keep reading. You won’t regret it. 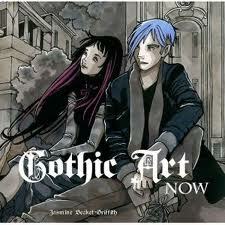 Gothic Art Now, by Jasmine Becket-Griffith, features some of the most stunning art we’ve come across in this genre. From Kyri Koniotis‘ Sacrifice, a digital painting that will blow you away, to Erlend Mark‘s photo and digital manipulation piece, Narrentraum, you’ll be hard pressed to find anything to complain about here. The images range from beautiful to barbaric, and the overall sense is deliciously dark. 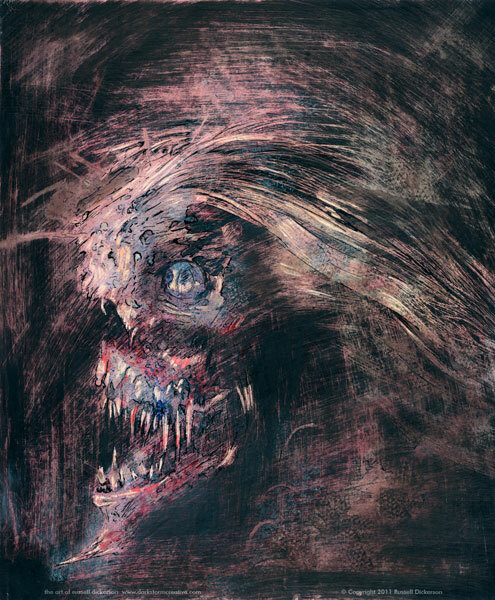 Hell Bound: New Gothic Art, by Francesca Gavin, is jam packed with amazing photography, digital images, classical art, and a slew of mixed media that will send shivers up your spine, and really define the marriage of beauty and brutality found within this genre. 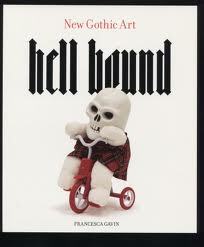 Hell Bound is a masterpiece that focuses not only on the imagery, but also on the background of the artists as well. It’s very well put together, and displays everything we love about the genre. Colum and family were there when Chris Zenga knocked this piece out. 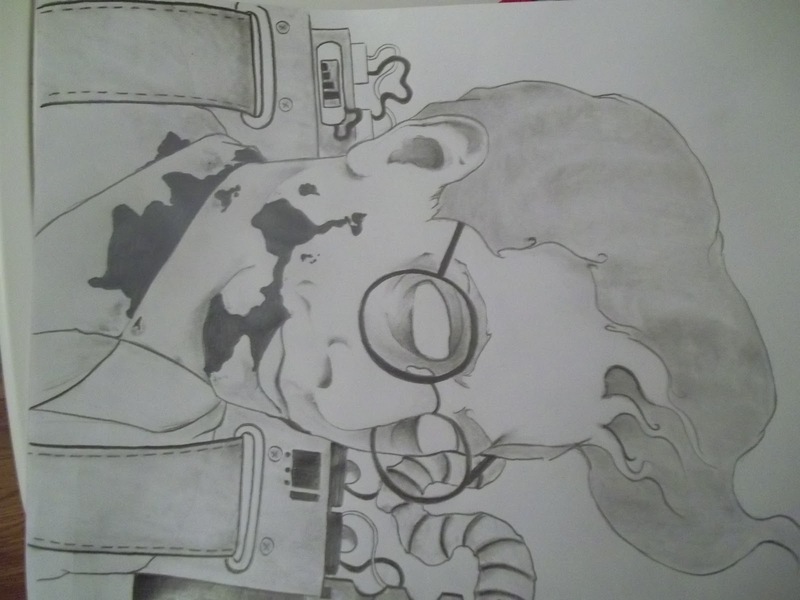 The idea that anyone would zombify Egon Spengler from Ghostbusters is a hilarious, phenomenal, and ambitious venture – to say the least. In fact, his whole operation is grand. For an indie artist in the horror community, Zenga is taking a ton of risks that push his creativity skyward. In fact, Zenga has agree to run a little contest with us here at Dreadful Tales. For the remainder of October (the next 7 days), any new followers that @DreadfulTales receives on Twitter will be eligible to win one of his custom zombie portraits. That’s right, folks! Follow Dreadful Tales, and Chris Zenga will draw a custom picture of your undead self! You can take a look at Zenga’s custom work at his website: The Day After – Art For Those Left At The End.